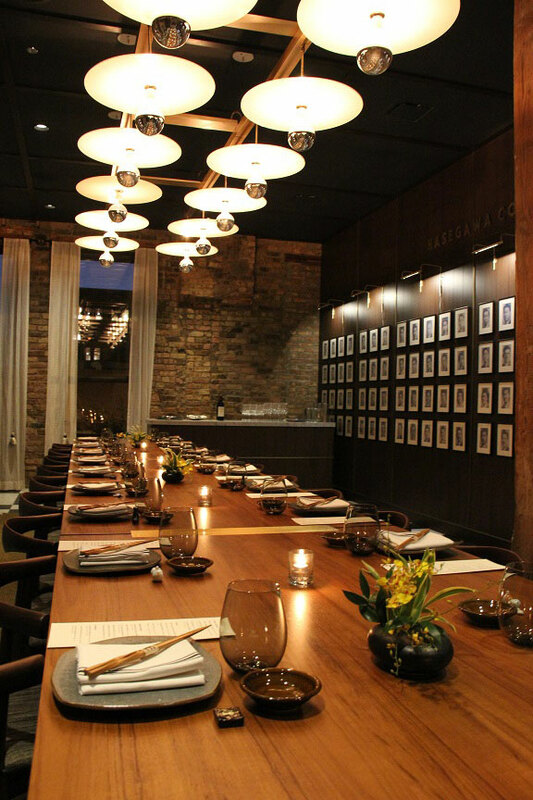 Our elegant private dining room is inspired by the motif of a finely appointed company 'boardroom'. 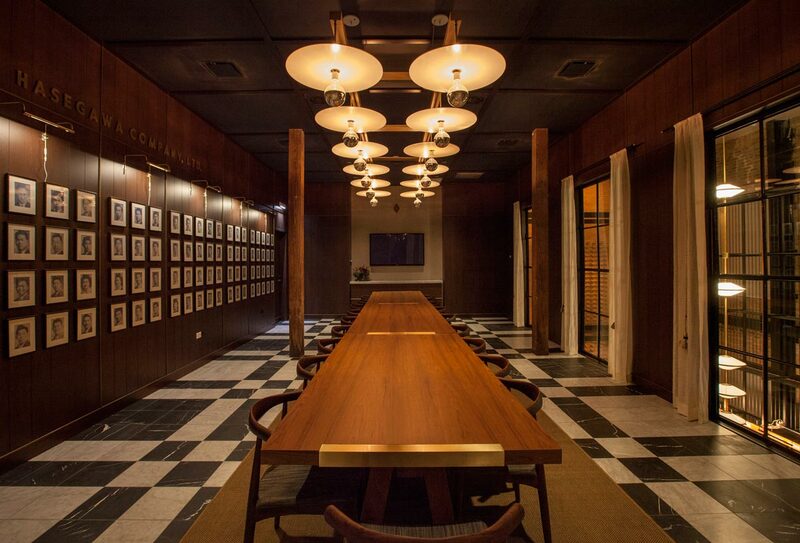 The space is characterized by the details of a mid-century modern office: white marble, brass, warm teak wood tones, and formal panel details. 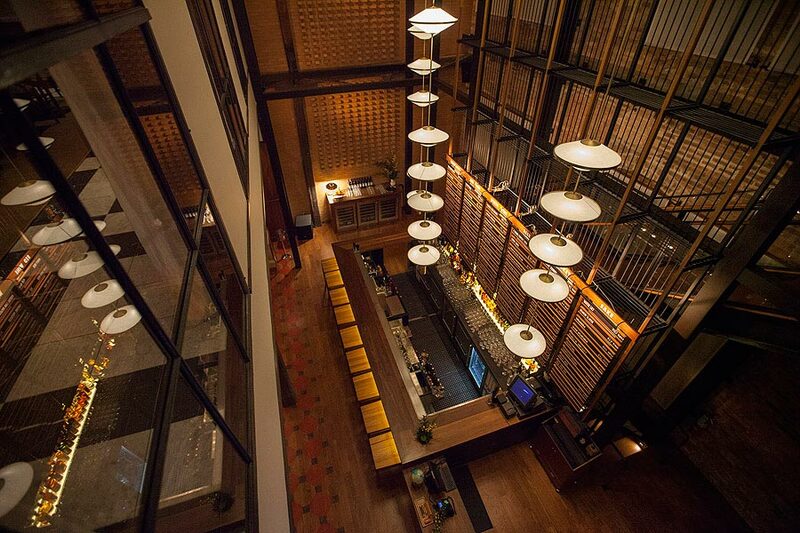 Amenities include private coat check, private washrooms, elevator access and full audio visual capabilities. 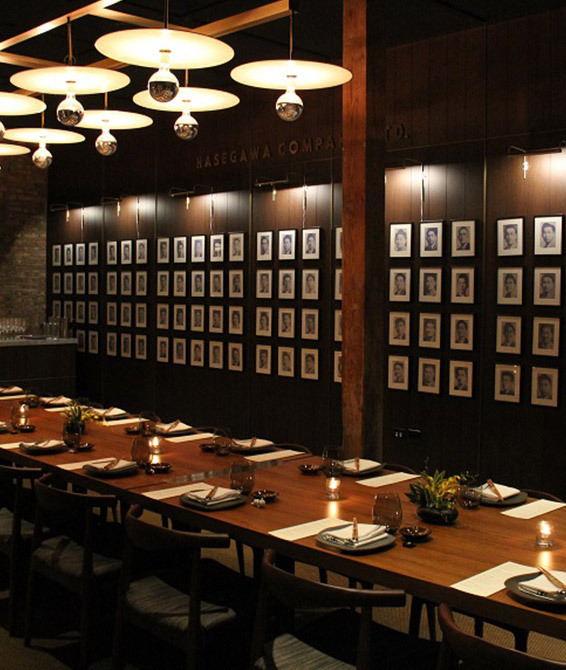 Our boardroom can accommodate up to 20 for a seated dinner and up to 30 for a reception-style event. 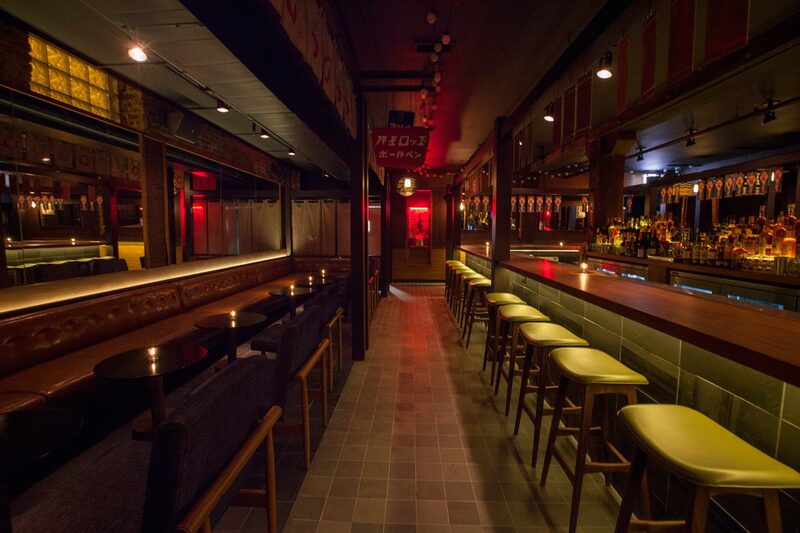 This room, which is adjacent to the Izakaya Lounge, can be used for both seated dinner parties and cocktail receptions. 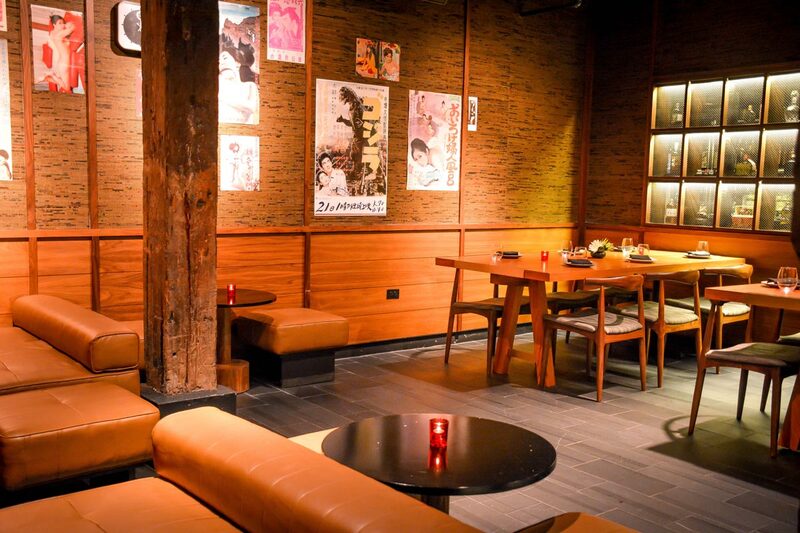 Amenities include a 55-inch flat screen TV for presentations, videos and preferred musical playlist. 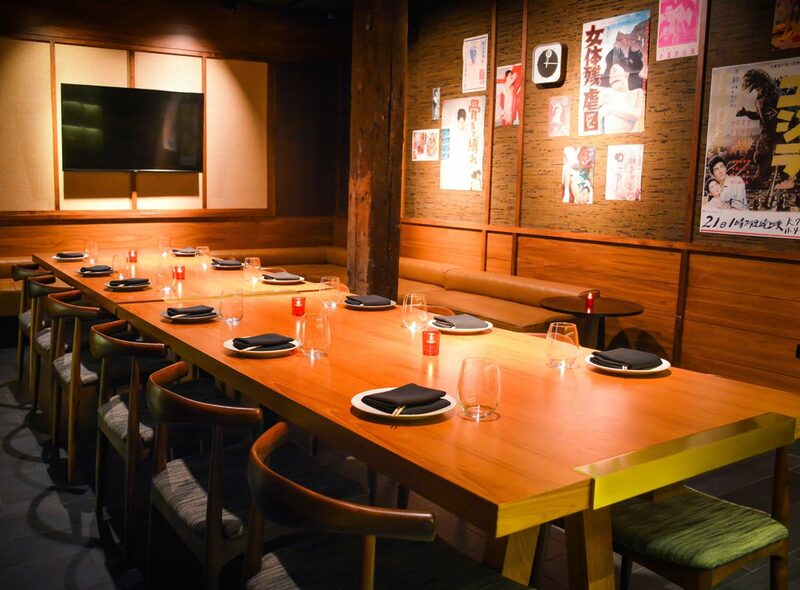 The room can accommodate up to 14 for a seated dinner and up to 30 for a cocktail reception event. 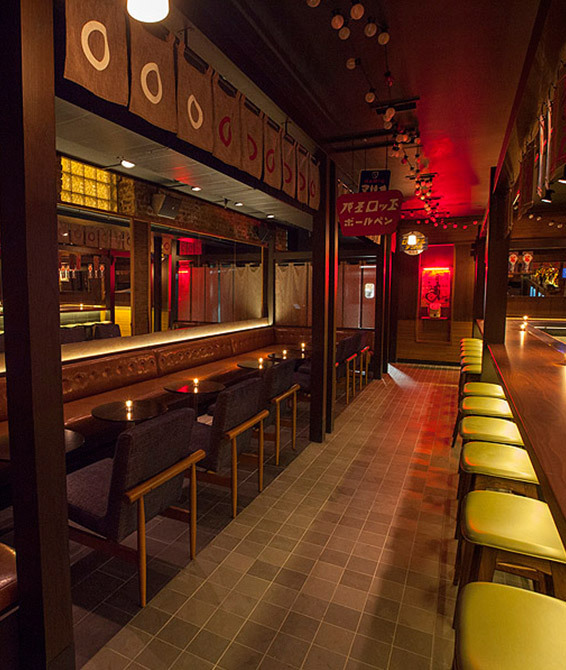 The Izakaya, Momotaro's subterranean lounge, was designed to mimic the nightlife among the streets of Japan with features such as hanging menu plaques, vintage Japanese posters, low lighting, comfy seating and other kitschy design elements. 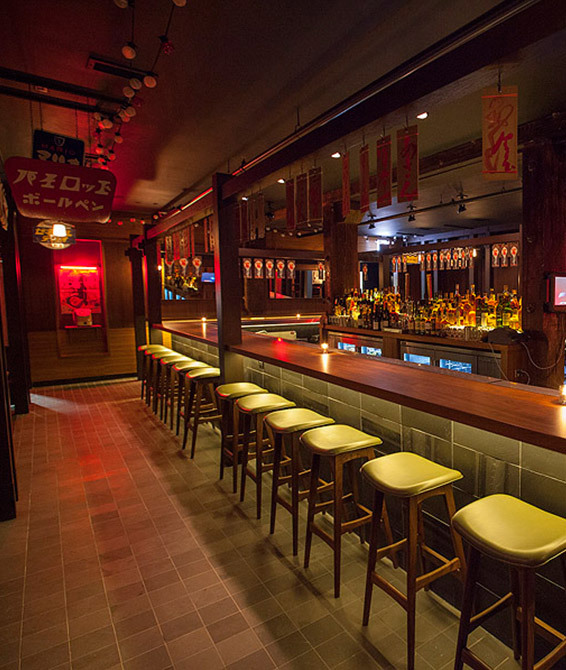 Amenities include a full sound system, private entry way, coat check room, elevator access and a dedicated Izakaya kitchen. 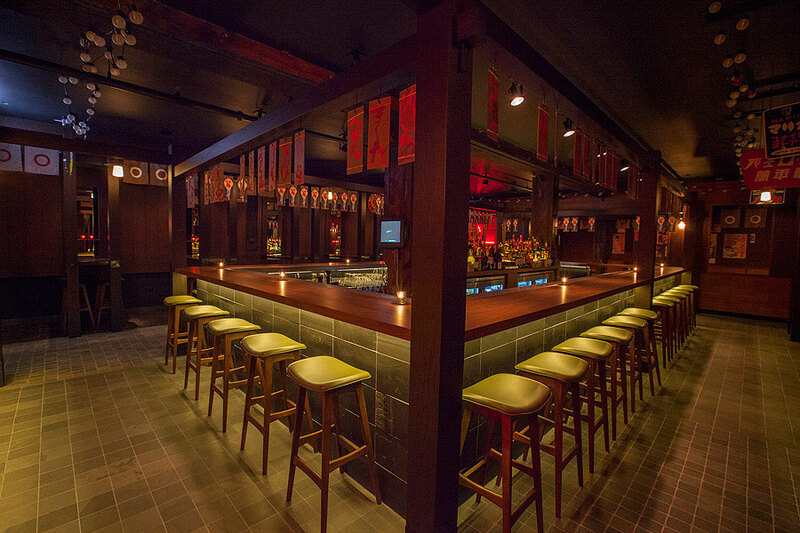 The Izakaya is available for a full buyout and can accommodate groups as small as 40 and as large as 150 for reception-style events. 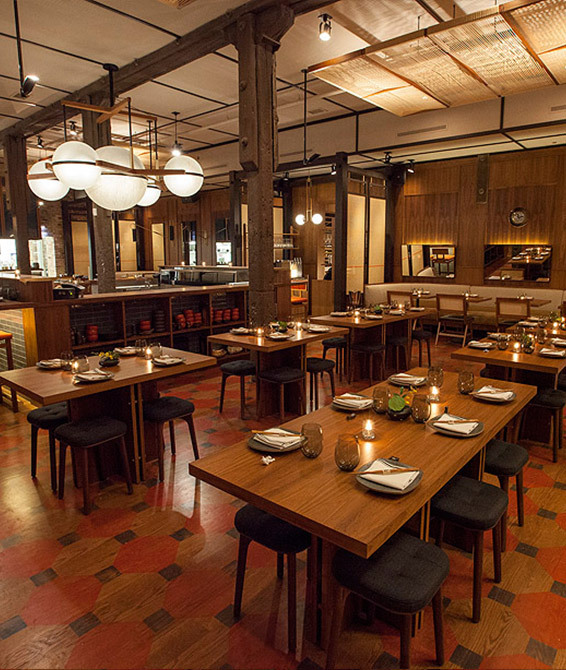 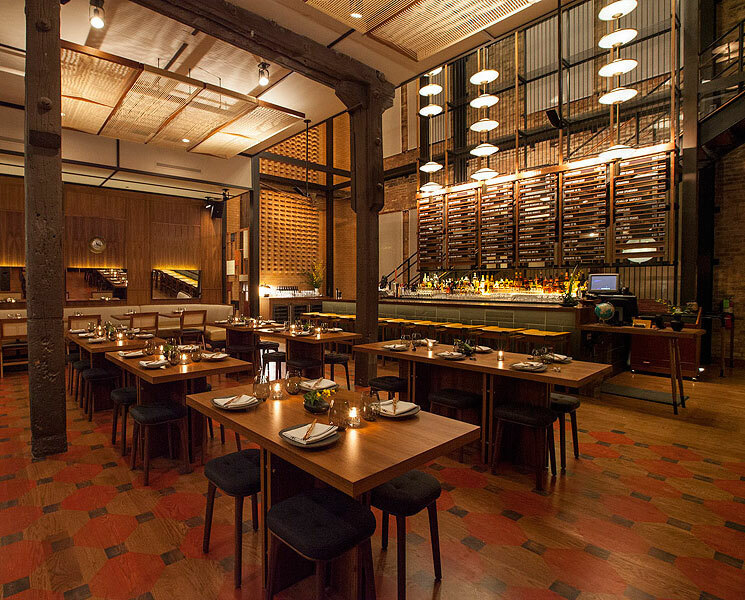 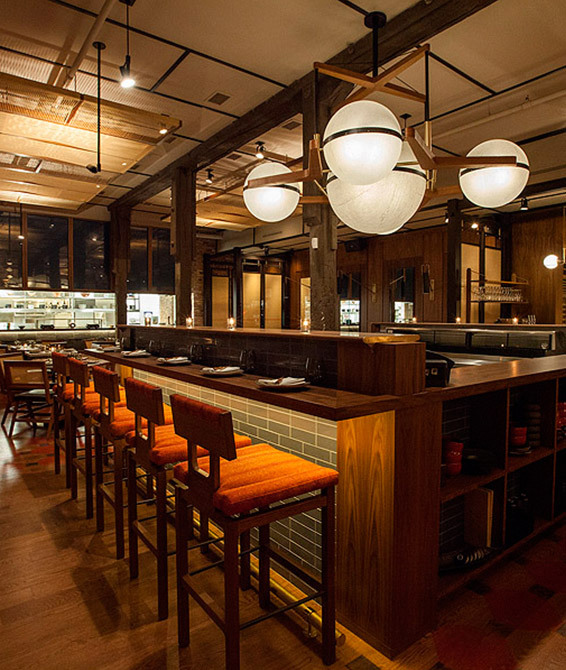 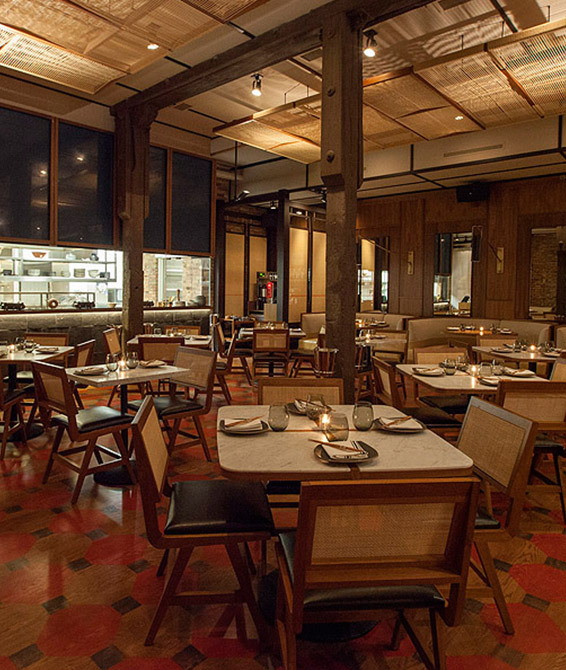 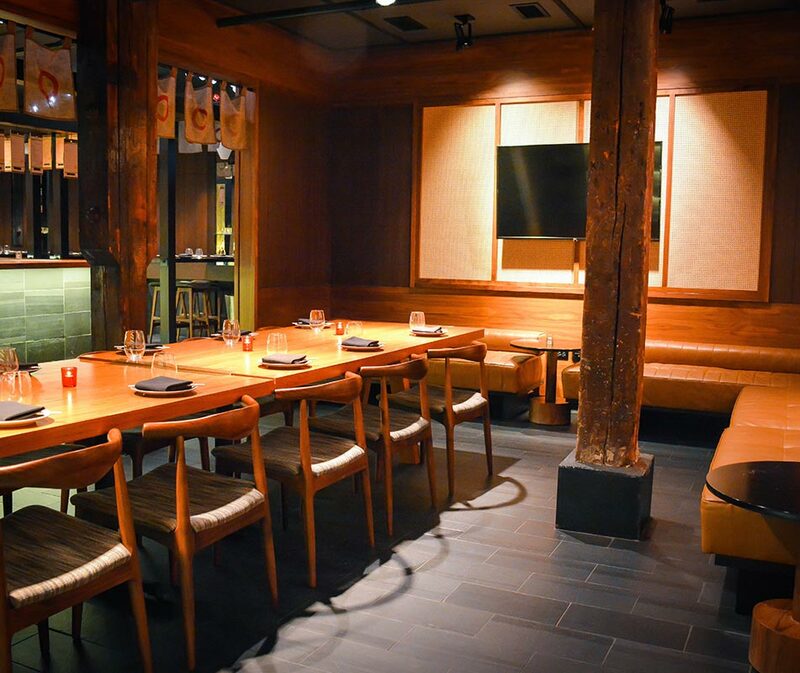 For larger-scale events, Momotaro's main dining room is available for full buyouts, which can include the use of the upstairs Boardroom as well as the Izakaya lounge. 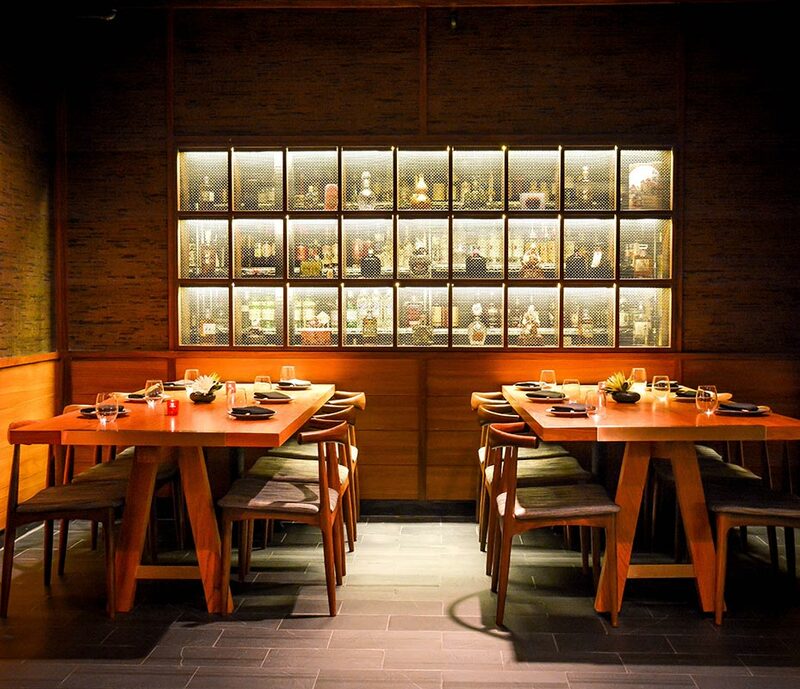 Amenities include a dedicated full bar and viewing of our live sushi bar kitchen, featured in the center of the room. 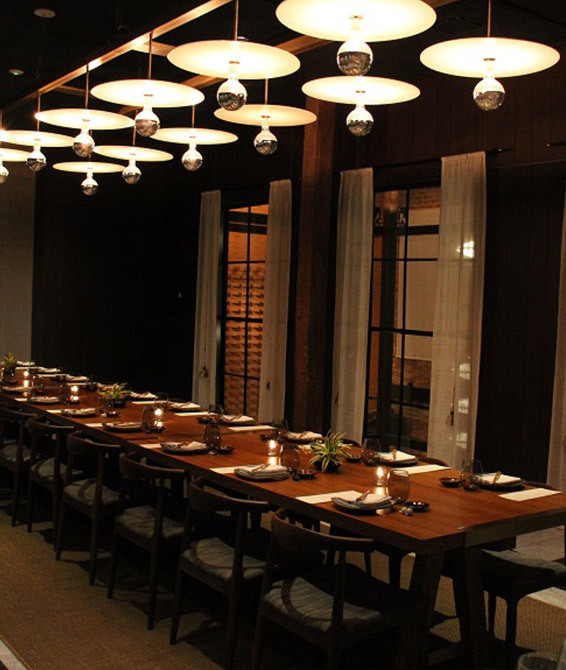 Our main dining room can accommodate up to 120 for a seated dinner and up to 200 for a cocktail reception.